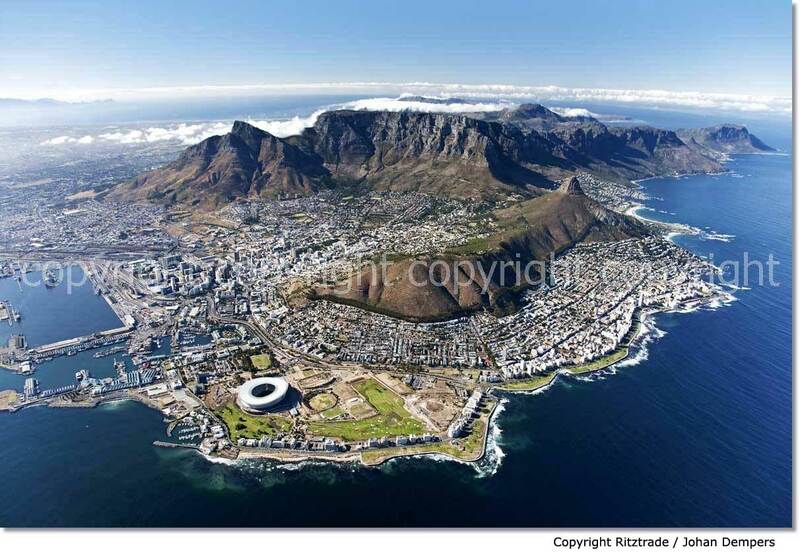 Welcome to Cape Town, Mother City of Africa, and the Western Cape, an area which is regarded as one of the most beautiful regions in the world. 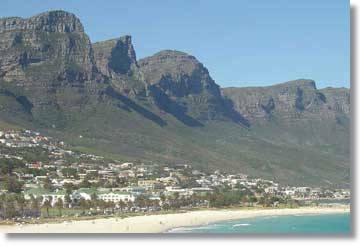 The City is a rare cultural gem, resulting from the amalgamation of Indonesian, French, Dutch, British and German settlers, the local Bushman and Hottentot tribes and the Bantu tribes from the north. The impressive presence of Table Mountain, flanked by the legendary Devil's Peak and historical Signal Hill, stands proudly above the city. 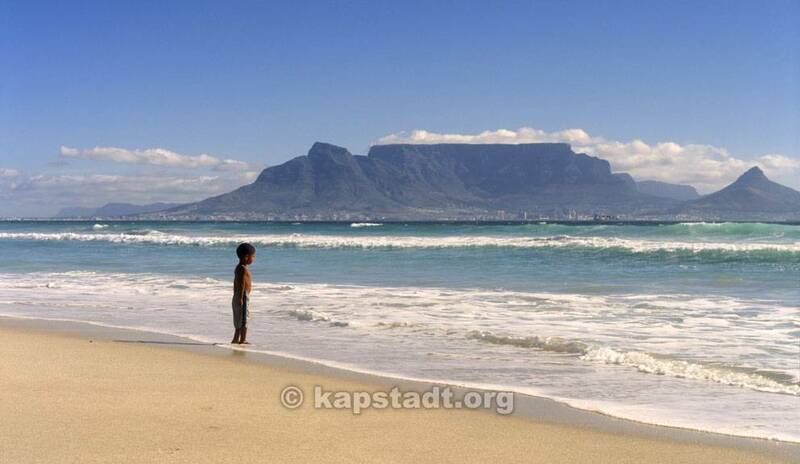 Beautiful white sandy beaches along a peaceful coastline frame the Cape Peninsula, which is famed for its unique floral kingdom, bountiful rivers, vleis and dams and magnificent countryside. The surrounding area extends far into the winelands, green in summer and red-gold in autumn. The Mother City boasts a multitude of entertainment, ranging from outdoor activities and adventures in the sun to a roaring night life under neon signs. The vast range of shopping opportunities includes haggling with shopholders at Greenmarket Square Flea Market, as well as breezing through sophisticated and stylish shopping malls. The huge variety of restaurants reflects the multicultured history of the Cape and caters for everyone's taste, from fast-food outlets and casual to the chic to the very elegant. 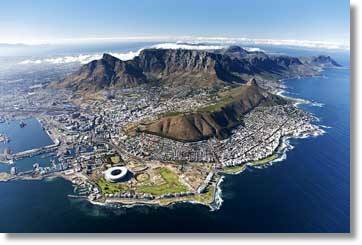 The city provides a setting for many scenic wonders, magnificent seascapes and panoramic vistas. 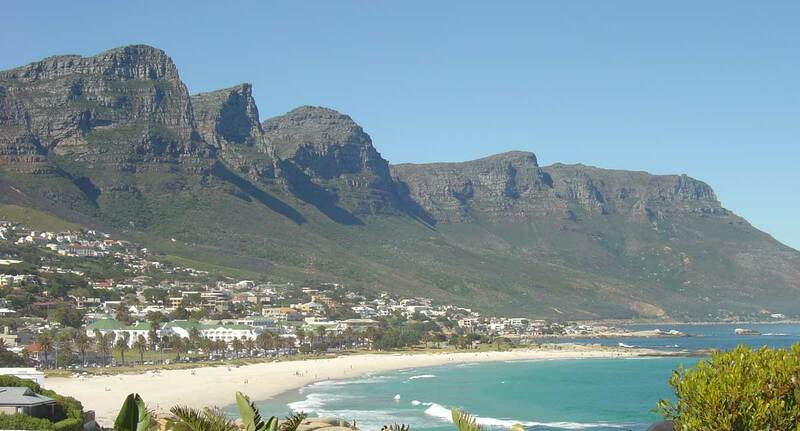 The beautiful coastal areas of Camps Bay, Clifton, Llandudno, Bantry Bay, Hout Bay and Blouberg surround the breathtaking tranquility of the winelands, Constantia, Stellenbosch, Paarl and Franschhoek. A city of culture, built on a history that reflects in the architecture, cuisine, music and dance. 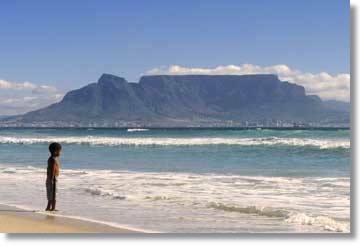 Together with a warm summer and temperate winter climate and a friendly community, the Western Cape and the Mother City are an ideal holiday destination throughout the year. Search for Property and Developments at the most beautiful end of the world. Falls Sie ein Ferienhaus, ein Apartment, Villen, eine Ferienwohnung, Luxusunterkünfte oder das passende Gästehaus bzw. Hotel suchen, sind Sie bei uns richtig! 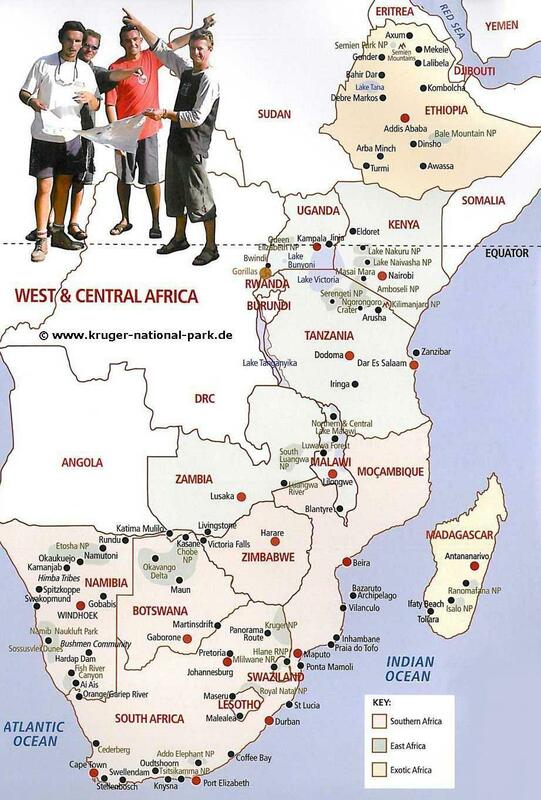 Wählen Sie Ihr Ferienunterkunft aus unserer umfangreichen Datenbank an Ferienhäusern in Kapstadt - Südafrika. Have a look at our recommended Accommodation! Here you can find out all about cage diving in South Africa. Our Shark Tours start in Cape Town and extend to the Overberg region, the Great White Shark's breeding ground. Gansbaai, a small dreamy fishing village, is ….